Do you get the dreaded iTunes Error 53 on your iPhone 6/6 Plus? It is quite a common problem and is pretty easy to fix so don’t worry about it. Usually, the error occurs when you are updating or restoring your iPhone with iTunes; the error message reads, “The iPhone could not be restored. An unknown error occurred (53)”. What Causes iTunes Error 53? If you take your iPhone 6 to an unauthorized repair shop to have the Touch ID button repaired, you are running the risk of bricking your device when you update – always use official Apple repair centers. iTunes Error 53 happens because of security features that will only recognize the official Touch ID button that came with the iPhone. These buttons have a hardware number, and only the official repair stores can replace them with an official button. If you choose to have it done unofficially, you are asking for trouble. When you try to install iOS 10 on such a device, it cannot connect to iTunes because the button hardware has failed. It was designed to make your iPhone 6/6 Plus safer – if anyone steals it, they can’t replace the Touch ID button with one of their own because it won’t match up with the component numbers. When you have it repaired at an official Apple center, they pair the button to the sensor, so you don’t get this problem. First off, the lesson here is never to have your iPhone repaired anywhere other than the official Apple Care stores. Unless you clear it regularly, whenever you use your PC, cache and log files tend to build up. If you don’t clean it out, your PC will slow down, and iTunes will not work properly; this can lead to Error 53. Clean your cache as per your browser instructions and start your computer again. Open iTunes and see what happens when you restore your device. Microsoft is pretty good at working out when there is a problem with Windows, and they are quick to issue updates. Make sure you install all updates when they are released – if you don’t, all sorts of things can go wrong. 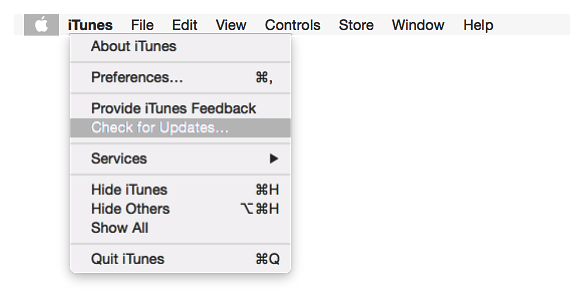 Once you have updated, try restoring through iTunes again and see if error 53 has gone. If your rivers are out of date or damaged, they can interfere with how things work. Ensure all your drivers are up to date by clicking Help>Updates on Windows or iTunes>Check for Updates on a Mac. Then try restoring again. Sometimes, all you need to do is delete iTunes from your computer and reinstall it. DO that, reboot your computer and try again. The Touch ID button and motherboard are directly connected; using an incorrect button will cause Error 53. Use the original button or get it replaced at an official store and the error will to show up. You could also see if there are any further updates to iOS. Apple does release minor updates quite regularly to fix things like this; check for updated and install any that are there. Failing that, it’s off to an Apple repair center to have your device checked out. Let us know what worked and what didn’t and follow us on Facebook for more like this.